I'm about a month late with the Life's a Beach UK Indie box, which may seem like a long time but when you consider that I was 3 months late posting the Spring Fling box, I would say that I'm making pretty good progress. 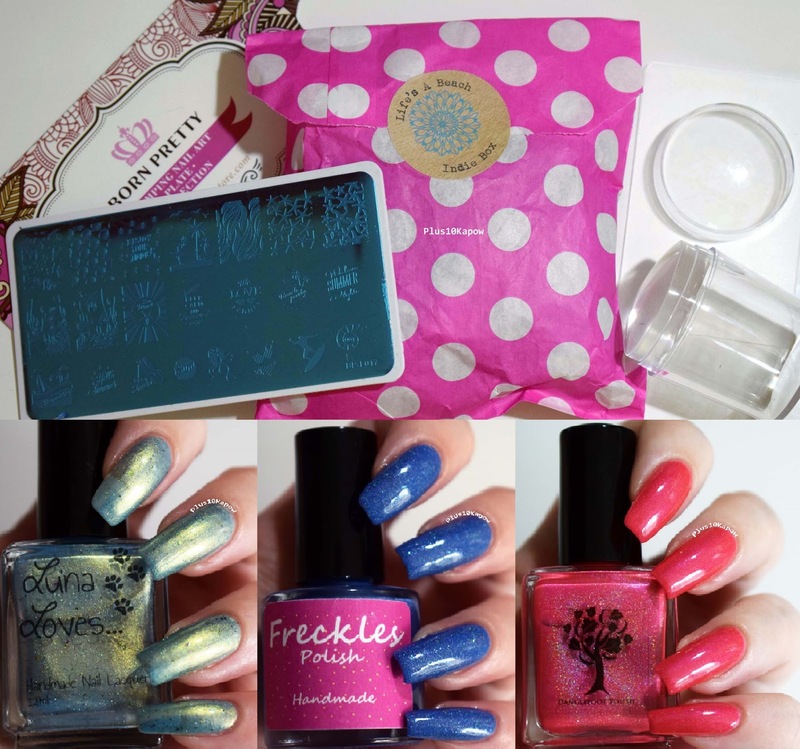 The Summer box theme was, as you guessed, 'Life's a Beach' and came with 3 polishes (Luna Loves Lacquer, Freckles Polish and Danglefoot Nail Polish), a large, clear stamper/scraper set and a Born Pretty Store stamping Plate, all, bar the stamper, with beach themes. Let's get on and check them out. 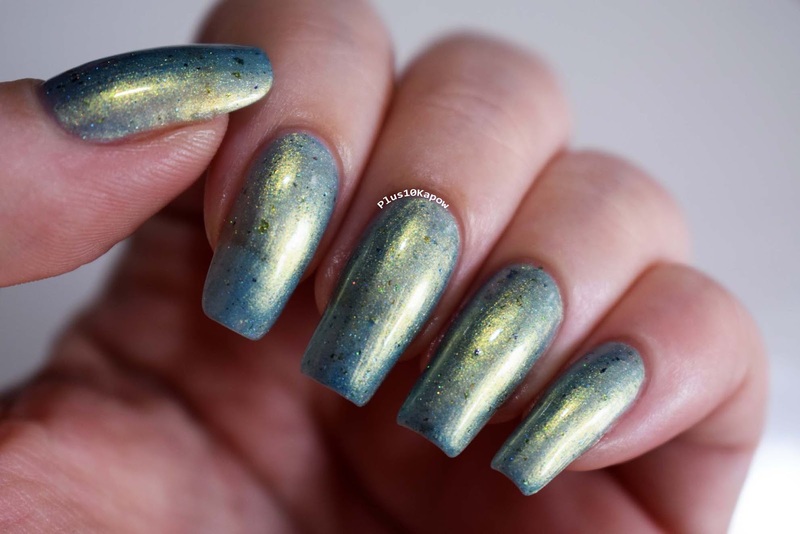 Sea Droplets is a beautiful blue/green shimmery, shifty polish with gold and green flakies. It's a very unique polish and reminds me of how they made the water look in old school horror movies. It looks different in every light and looks completely different in photos than it does in real life. 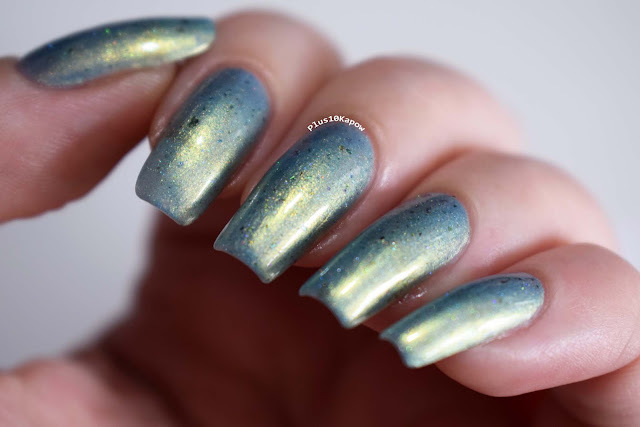 Sea You at the Shore is a lush, denim blue with a scattered holo. Weirdly, I don't own a holo in this shade and it is a welcome addition to my collection, can you see that turquoisey shimmer? It looks just like shimmery water. 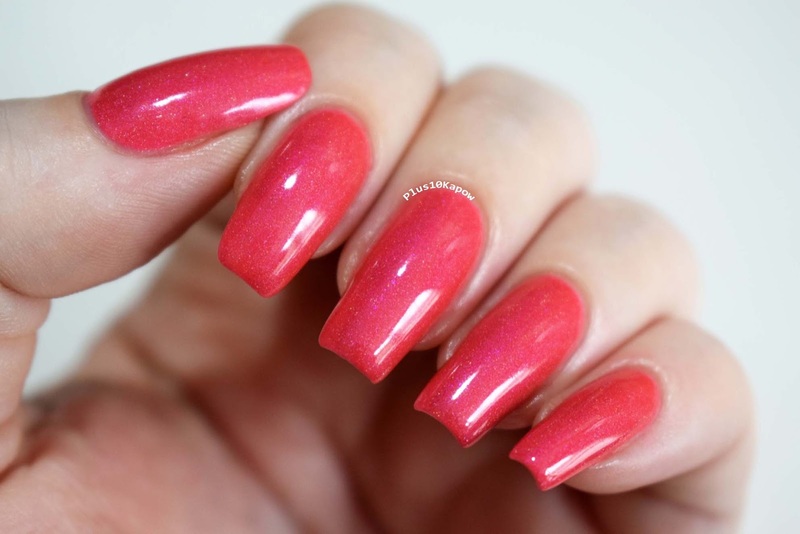 I'm Beach Ready is a gorgeous, bright, coral toned pink with a scattered holo and magenta shimmer. This one is definitely a one coater, it's so pigmented and the bonus is, no staining! All of the polishes applied beautifully and finished to a slightly gritty, semi matte finish because of the glitters, I used two thin coats of each and topped with one coat of Seche Vite. This is the stamper and scraper set. 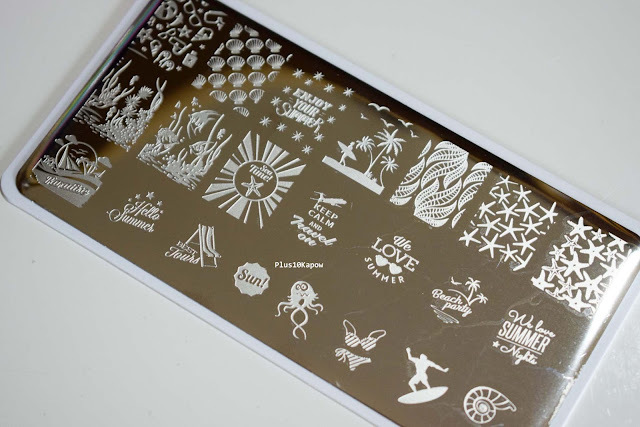 The stamper is a larger version of the ever popular clear, jelly stampers that everyone, including myself loves. This one is even better that the one I own because there is no tunnel vision, which makes placing the stamp straight on the nail even easier. 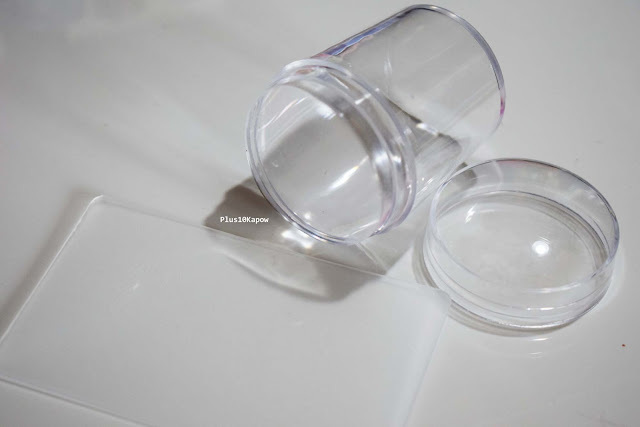 Plus, it comes with a lid to keep the stamper head in tip top condition. The scraper is good too, it's quite a size so easy to hold, it is a little bit more flexible than I like but will be good for an emergency scraper though. The stamping plate included is Born Pretty Store BP-L017 and is still available on bornprettystore.com, it's excellent quality and has some great, summery images on there. It has 10 full sized nail images and 12 smaller images on it, each etched nicely and it gives good stamp. 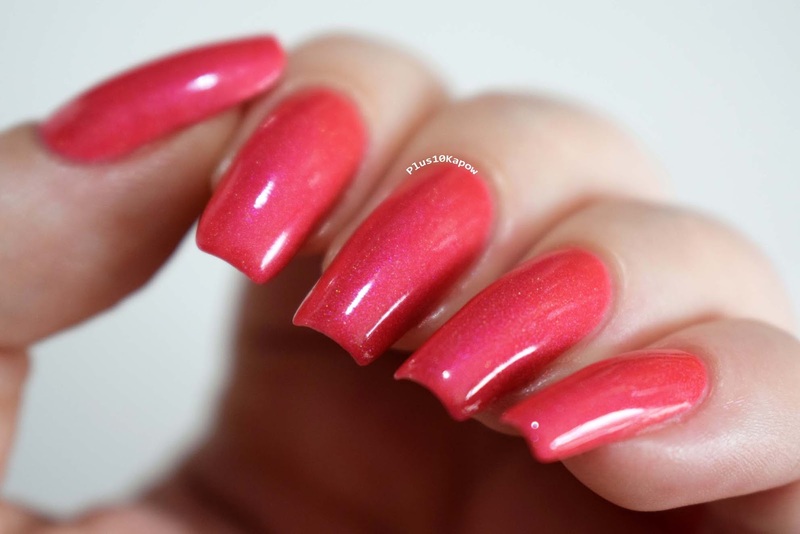 ...and let me tell you now, I am obsessed with this gradient! 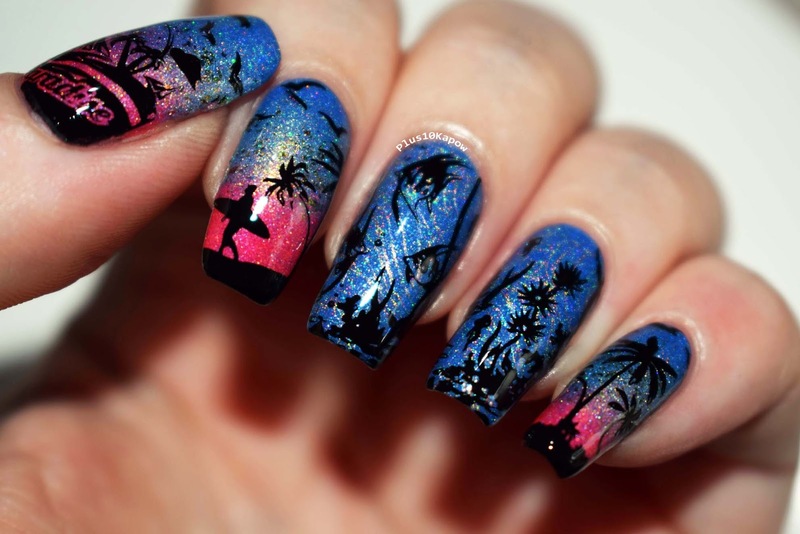 On my thumb, index and pinkie I did a gradient using, from top to bottom, Sea You at the Shore, Sea Droplets and I'm Beach Ready. Then i stamped over that using Moyou Black Knight. For my middle and ring fingers, I used Sea You at the Shore as the base and I did cheat a bit by using KBShimmer PT Young Thing and a different BP stamping image but then I stamped over it using Moyou Black Knight and an image from BP-L017. That gradient though, it looks lush on the photo but irl it was amazing, so gutted it didn't photo well. So, this was the Summer, Life's a Beach UK Indie Box, what did you think of it? I am already looking forward to the next box which is going to be DR Who themed, even though I am not a huge Doctor fan, I know the polishes will be gorgeous again, I can't wait! So far, they have been £25 including p&p and limited, so if you fancy keeping an eye out for the next one, follow Hayley of Danglefoot Nail Polish on her Instagram page.